Well here’s a funny little story I must share. A normal, everyday guy named Nick Howard quits his day job and starts playing around with a bit of cider in Swindon, Wiltshire……...yes Wiltshire!! He begins sourcing surplus apples from run down, derelict orchards and trees from random Swindonite’s backyards. He fast gives the sad and sorry suburban trees a new lease of life, and gives the fruit purpose again. The cider which is made from this fruit then makes its way back to the orchards/trees owners – hence Circle Cider. From humble beginnings of a mere 40Ls in his first year, Nick and Circle Cider now produce up to 6000 litres of ethically made Swindon grown cider. HOW FIRGGEN COOL IS THAT!! I absolutely love, adore, respect this concept. What a fantastic initiative which restores old fruit trees and gives them new life. Makes me wish I could do something like this here in South Australia. On the back of the Circle Cider labels is reads – “WE WANT YOUR APPLES, if you are near Swindon and have surplus apples, we would love to hear from you. Help us is our quest to make the best of what we already have”. Brilliant, absolutely bloody brilliant in my eyes. Circle Cider is currently in the process of securing distribution of their ciders throughout Australia, so let’s hope this is successful……we need more hand crafted English Cider to take it up to our Aussie interpretations! The Circle Cider range includes Cat’s Tongue (dry), Roundabout (Medium) and Butchers Boy (Sweet), all packaged in 500mL bottles. All hand made, and hand crafted by Nick himself in Swindon. Nice amount of foamy fizzy on pouring into the glass, with a slightly cloudy orange hue. A real distinct soapy, almost French cider apple nose being floral with a lemony twang. It mirrors a Pays de Auge Brut with ease. Quite a complex nose, rich and generous and full of ripe cider apples. Beautifully rustic, right up my alley. The palate is quite dry and somewhat sour, but the powdery tannins make it a real joy. This is what I love to see in a dry cider. There’s a decent amount of rustic apple flavour here, with an impressive heavier body. A little beery in the finish, with a nice long orange marmalade length. One of the better dry’s I’ve had in recent times. The Cat’s Tongue is a damn nice and refreshing dry. Stacked full of flavour and texture which I love. A modest 6.1 per cent makes this a wonderful session drink. Thoroughly enjoyed this. A medium sweetness welcomes you on the first sip. Small hints of bitter tannins here, with a puckering, dry finish. Not as flavoursome as the dry, and the 5.8 per cent alcohol seems a touch low. A watered down and somewhat flabby finish, but easy drinking and perfect served draft. I could see this cider being popular with regular cider drinkers (minus the reductive nose). Although not as impressive as the Cat’s Tongue, still a nicely sculpted cider. A couple little minor blemishes, but still a pretty solid cider. On a hot day, this would be in its element. Almost still, with just the faintest bubble on pouring. Golden orange hue again. I may be wrong, but I am getting the feeling all three ciders are the same apples, but with differing amounts of residual and alcohol in them. A touch grubby again in the nose, but with the same spiced apple, rustic edge and lemony twang. This is a nice, bold and rich nose which reminds me of pure pressed out apple juice. Could sniff it for hours. Oddly enough, It also reminds me of the Le Pere Jules Pommeau de Normandie which I reviewed a year or so ago. Oaky, rich and almost raisin like in statue. Lovely. A beautiful ripe apple sweetness dominates the flavoursome palate. Drying, powdery tannins take over the mid palate and continue on to the finish. A Splenda type mouthfeel stays with you once you have swallowed the cider. The small amount of carbonation adds that lick of excitement which lifts the palate. Nice and fresh with solids apple flavours. There is no sign of the 7 per cent alcohol, which makes me think this cider could slip down way too easily. Quite delicious really. The beauty is the sweetness never gets cloying. Funny how I find Aussie sweets get too sickly sweet, and traditional sweets don’t. Dessert vs. Cider apple perhaps?? A lovely interpretation of a sweet cider. Has everything I like to see, and has a high drinkability. The nose just needs to be cleaned up a touch, then this would be a killer cider (especially in the Australian climate). Well there you have it. A great opportunity to go through the Circle Cider range. Really nice booze here, with a lot of potential. The bummer was the pongy noses, but these did blow off. Perhaps some CU++ needs to be used? I can really see this brand fitting into mainstream cider in Australia and competing well. They all have that drinkability which Australian’s look for. They are not typical, bland, boring contemporary Aussie moderns, but they are also not full on, confronting farmhouse traditional's. They are the perfect balance between the two and consumers will enjoy that. Let’s hope we can see them in Australia soon! Thank you to Iva and Nathaniel (Australian Distributors) for giving me the opportunity to taste these ciders. Over the past few months, I have been composing cider reviews for the soon to be released 2nd edition of Tasmania’s Table. I have luckily tasted and reviewed around fifteen or so ciders from all corners of the Apple Isle. I received an email from the editor asking if I could sneak in one final review for this newly released cider. The cider turned out to be Three Farms Cider, to which I had no knowledge of. Long story short, it was a collaboration between three farming families. The fruit for the cider was sourced from the Huon Valley, and made at Winemaking Tasmania. The cider was recently an added option at the Bangor Wine and Oyster Shed in Dunalley. On opening, the cider was super (and I mean SUPER) light in colour almost representing water…..not good in my eyes. However, the carbonation was light…….good in my eyes. Through my experience, the nose had that rich, ripe red floral fruit character which I find typical of many commercial Huon Valley ciders. It also displayed a green sour sob angle with a binding citrus twang. Overall, the nose was extremely representative of a basic/simple commercial dessert apple cider. Possibly too simple and one dimensional for my liking. But what would you expect from a cider made with cultured yeasts, reductive handling and sterile filtration? Plenty of this style out in the market at the moment. For me the real let down was the light palate structure. Somewhat confused, chalky and lacking in any sort of flavour. I remember as a kid we had a creek by our house, and in winter thousands of sour sobs would grow by the banks. I would pick a sour sob and chew on the stalk, and it would leave you with a green tart taste in my mouth. The Three Farms Cider reminded me of this. Acidity, green and lacking in flavour. Sadly, the flavour fell quite short, with no obvious back palate length. Yes, there was a touch of sweetness, but that diminished into the green malic acid. The carbonation was perfect though, and the 4.2 per cent alcohol made for easy drinking. To successfully compete in the ultra-competitive Aussie modern medium market, your cider better be chock-a-block full of flavour and class! Sadly, this cider was down the lower end of the scale, and I find is swamped in quality by its simple Winemaking Tasmania made cousins. Most importantly, the cider was clean and fault free and was drinkable. I don’t often comment on labels, as I know firsthand what it is like to design a brand, and proudly see in on a product you have invested so much time and money in. But with all due respect, the label is a big confusing, unfinished, Incredible Hulk mush up. Sorry guys, not a fan at all. However, you don’t judge a book by its cover! Personally I think this cider has a little ‘me too’ about it, and I firmly believe there are far better examples of Tassie cider. But I applaud them for using real Tasmania fruit, and giving it a go. Following on from the last review, we are sticking to my home state of South Australia for this next instalment. Around five months ago I received an email from Winemaker Michael Goulden from Rusty Bike Wines in the Adelaide Hills. Turns out Michael got bitten by the cider bug, and sourced some Adelaide Hills apple juice to produce 400L’s of 2014 apple cider. He kindly dropped off a few bottles to me, along with a few of his award winning wines too. Thank you Michael!! The 2014 Rusty Bike Cider was made in quite a traditional and simplistic way. A nice cool ferment, with some time on lees then straight to bottle for secondary fermentation - no oak. I myself use this method for my Adams Orchard Cider side project. The secondary method produces dry, cloudy ciders with higher alcohols and fine bubble. The varieties used for the Rusty Bike cider are unknown, but Michael interestingly mentioned he will have access to cider fruit in the coming years, so I cannot wait to see what he does with them. The bottle was beautifully presented in a big, heavy 750mL Champagne bottle, with a charming little label. When poured into a glass, a lovely mousse erupted then hastily died into a cloudy champagne style bead. It just looked so pristine and pure from the presentation in the glass. A slight waft of reduction blew off to reveal a crisp and focused nose of early picked green apples, citrus and nuttiness. It was likened to taking a fresh new season Granny Smith apple out the fridge and biting into it. A slight floral tinge added some depth. Although the nose was quite simple in stature, it was elegant and attentive. As expected, the palate was bone dry yet full of life. It was super focused and very linear, with a nice soft apple flavour. The apple did fade somewhat into a sea of malic and tartaric acid, with slight bitterness and alcoholic heat on the back palate. No malo was carried out for this cider, so acidity was fairly high and tart. The carbonation excited the whole mouth feel and gave it a lively and effervescent personality. The palate was very Winemaker driven being crisp, focused and sharp in physique, almost youthful Semillon like. What would be great is to see a sweeter Methode Traditionelle version of this style. But I applaud Michael’s first attempt at producing cider, he’s done a great job. Yes it is very Winemaker styled, but this would appeal heavily to the dryer styled cider lovers. It’s simple, clean, fresh and great served with a plate of hard cheeses. Hello fellow cider geeks, lovers, nerds, enthusiasts! Happy 2015! After an extended break from All About Cider to pursue other cider related activities, I am back. 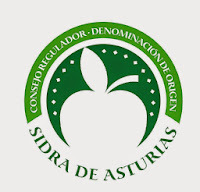 Refreshed, more the wiser and keen to taste as much Cider, Cyder, Sider, Sidra, Sidro, Seidr and Apfelwein as possible. I am noticing more and more Australian cider brands pop up each month, so more for me to look at with a fine tooth coomb so to speak! Bring it on! So I am going to ease my way into it first up with a cheeky little cider made in my home state of South Australia, in the absolutely beautiful wine region of McLaren Vale. About a year or so ago, I received an email from a new craft cider producer in McLaren Vale, South Australia wanting me to take a look at their new product. They asked for any advice on improvements which could be applied to their first effort. I happily obliged and gave them some recommendations which I thought could bump up quality. I received an email months later asking if I wanted to try the new batch, with some of my recommendations supposedly put in place. Sadly on my part, the new batch arrived but was lost in my cider cellar (yes, I do have a cider cellar where I put surplus samples etc. from which I receive – more like museum stock). I recently came across it and had one of those “oh crap!” moments where I realised I had misplaced the sample. Well here I am today on a 40 degree day and tasting ciders, so thought it was a great opportunity to pen some notes. McLaren Vale Orchards are run by Mark and Lisa McCarthy, who grow an array of produce like avocados, cherries, stonefruit, grapes, apples and pears. From the information I received on the cider, it was made under guidance from Goodison Brewery and young McLaren Vale Winemaker Tom O’Donnell. The cider itself is made from 7 or so differing varieties including Royal Gala, Fuji, Golden Delicious, Granny Smiths, Pink Lady, Lady Williams and Sundowner. Did someone day liquorice allsorts?? The apples are milled, and basket pressed with eight months time on lees – my kind of cider!! The finished cider is all wrapped up into a neatly presented, commercial styled cider filtered and forced carbed. It can be found at the Wayville, Willunga and Victor Harbor markets and well as their Orchards production house in McLaren Vale. The colour gave off a nice deep straw colour with a light carbonation. Rich, ripe red apple flesh, and copious amounts of pineapple leaped out the glass. It seemed quite Huon Valley in stature and in intensity, so that was a big positive. Once the glass warmed up, more farmhouse notes of cheesy funk, fungus and earthiness crept through. Pure example of commercial meeting undertones of farmhouse. The palate was very ‘time on lees’ dominant. Creamy textures rounded out the mouthfeel and made it quite soft. There was just a hint of sweetness, but essentially the cider finished dry with some mouth-watering acidity. The flavour did fall somewhat sort, leaving a gap in the mid palate. Kills me to say it, but perhaps a little more residual would have taken this cider to the next level. The higher 5.9 per cent alcohol was all in balance, and the lower carbonation was spot on. So really a sound, simple little cider which shows small hints of complexity making it interesting and unique. It’s not a cider which is wall to wall apples and freshness, but the creaminess does add personality. 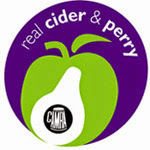 I wish these guys well in their cider venture. By the way, the Barossa Valley makes better reds!! !